With Sony’s first stab at a Nintendo Direct style-presentation, the State of Play, in the books, it’s time to take a look at what all of Sony’s major first-party studios are working on. From recently released hits like God of War to imminent releases like Days Gone to the eventual debuts of The last of Us Part 2 and Ghost of Tsushima, let’s take a look at what every studio in Sony’s stable is working on. Though one quick note — we’re specifically discussing internal, first-party owned studios. So your Insomniac’s and Kojima Productions’ of the world don’t count, even if they are working on PlayStation exclusives. Last release: Bend Studio’s last outing came in the Uncharted universe, with the PlayStation Vita’s Uncharted Golden Abyss. The studio then worked on the card game Uncharted: Fight for Fortune (though we’re still waiting on that Unkarted racing spinoff we’ve all wanted). Currently working on/next project: Days Gone, the next major first-party Sony game to be released. With an April 26 release date, we’ve seen plenty of Days Gone since its announcement, including our latest hands-on preview of what it’s like to take on the freaker hordes. Last release: Horizon Zero Dawn, the 2017 hit that introduced PlayStation 4 owners to a world of fascinating robotic beasts to fight in an intriguing world. Guerrilla released a big expansion to Horizon, The Frozen Wilds, later that year. Last release: Sony’s Japan Studio has been quite prolific, either developing or co-developing plenty of games in just the life of PS4 alone. From work on Knack to The Last Guardian to PSVR breakout Astro Bot Rescue Mission, Japan Studio has been involved in a lot of major Sony first-party titles. Currently working on/next project: While we don’t know too much about what the studio has coming up next, we do know they’re involved in co-developing Everybody’s Golf VR with Clap Hanz for the game’s May release. Last release: London Studio has contributed both the PS4 release SingStar Celebration and the PSVR title PlayStation VR Worlds to Sony’s current-gen output. Currently working on/next project: Next up is Blood & Truth, the long-awaited PSVR title inspired by the London Heist PlayStation VR Worlds experience. And now we won’t have to wait long to play it, as Blood & Truth debuts in May. Sony started Manchester Studio in 2015, formerly under the name North West Studio, for PSVR development. However, we haven’t quite seen a proper release from them just yet. But with PSVR continuing to be a big push for Sony, hopefully we’ll see what this studio’s up to soon. Last release: After pioneering the LittleBigPlanet franchise on PS3, Media Molecule deliver Tearaway for the PlayStation Vita (which got a port to the PS4 in 2015). Currently working on/next project: Dreams! FOr essentially the life of the PS4, fans have been waiting for Media Molecule’s next creation suite game, and after a beta at the end of 2018/early 2019, Dreams will finally be available in early access this spring. Last release: During the life of the PS4, Naughty Dog has worked on a port of The Last of Us, Uncharted 4: A Thief’s End, and Uncharted: The Lost Legacy, the last of which released in 2017. Currently working on/next project: There is a good chance you’ve heard The Last of Us Part II is in development. After its unexpected announcement at PSX 2017, Sony has intermittently shown off the highly anticipated sequel, including with an E3 2019 gameplay demo. Unfortunately, we don’t have a release date just yet. Last release: Entwined, which saw a surprise announcement and release in 2014. Currently working on/next project: Concrete Genie, the beautiful action-adventure game that gives players the power of a magical paintbrush. Originally scheduled for a spring 2019 launch, Concrete Genie has been pushed to this fall, but along with that delay came the announcement of a PSVR mode to accompany the main campaign. Last release: The Sony studio produced Gran Turismo Sport this generation, and has been busy providing content updates and patches to the game since its launch in 2017. Currently working on/next project: For now, Polyphony remains hard at work on GT Sport updates, but it’s a safe bet that, whenever the studio announces a new game, “Gran Turismo” will likely be in the title. Last release: San Diego just released MLB: The Show 19, its annual baseball hit. Currently working on/next project: Nothing announced, with MLB 19 fresh out of release, but, we’re pretty confident saying, unless the MLB shuts down this year, that MLB: The Show 20 could likely come next. 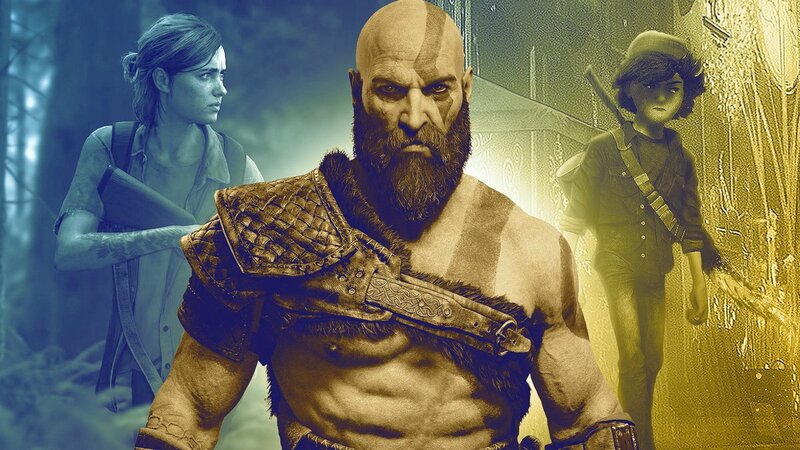 Last release: God of War, IGN’s Best Game of 2018 and a huge evolution of the long-running Sony franchise. Currently working on/next project: Nothing has been announced at this time, though given the many, many game of the year awards God of War won, expectations are for some sort of God of War sequel. And while we’ve talked in generalities about the studio’s work on God of War and what’s ahead with the game’s director Cory Barlog, whether it’s a sequel or an entirely new project, we’re eagerly anticipating what comes next. Last release: Sucker Punch made the transition to the PS4 with its super- or anti-hero franchise Infamous. Infamous: Second Son and its expansion Infamous: First Light, both came out early on in the PS4’s lifecycle. Currently working on/next project: Sucker Punch revealed its new project, a brand new franchise, at Paris Games Week 2017. Ghost of Tsushima is set to explore feudal Japan in a realized world, but we, unfortunately, don’t know when that adventure is planned for release just yet. Of course, when we hear more about this studio or any of Sony’s other first-party teams, you can be sure to read and watch about it on IGN. And of course, for everything big happening in the world of PlayStation, be sure to check out our weekly PlayStation show, Beyond!, for more insight. Jonathon Dornbush is IGn’s News editor and host of Beyond! Talk to him on Twitter @jmdornbush.